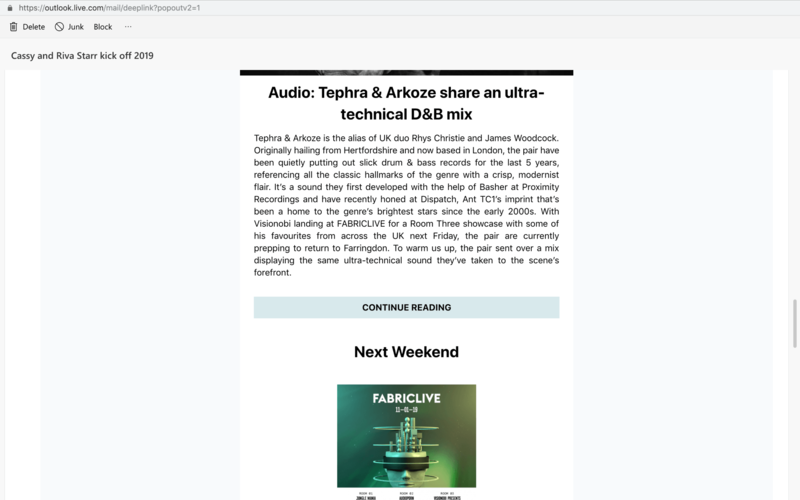 This is an email example that I took from my Inbox, it is from a club in London called Fabric. I received it on Wednesday 2nd of January and I honestly opened it today just to use it as an example for my blog. I honestly won’t open it unless I am cleaning my inbox or when I see some DJ names that I recognize, and I am interested in. 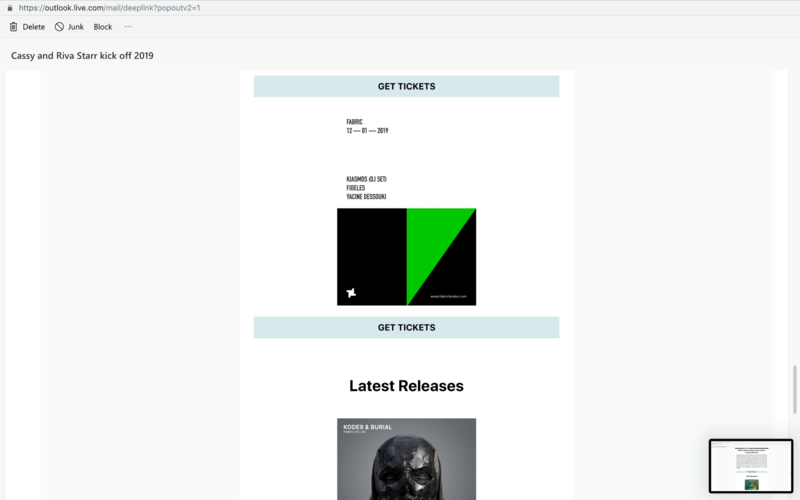 To begin with, in this email we cannot find any personalization, also there is not any third party involved since it is only Fabric the one promoting their events and latest releases. It is a medium long email offering different events during the week that people might be interested. They follow an approach of sending an email once a week instead of sending lots of emails with fewer events listings. The illustrations from this email are just the event posters that might retain the reader and endure their attention and make it more attractive. However, what makes it more attractive is the style the email is written as it mentions the typical “New year hungover or high activity” in order for the reader to feel they should go to a party after replenishing from the New Year’s Eve. However, in my opinion, they should personalize their emails for a better response, as in order for the reader to feel more personalized and appeal Sahni, Wheeler, and Chintagunta, (2018). 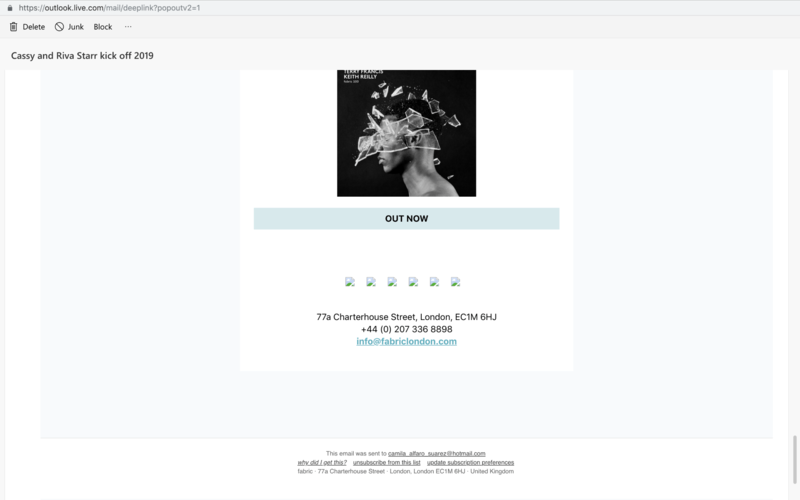 Additionally, the minimalism of the email attracts the reader as they place their logo on the top centre of the email instead of the top left. Their subject matches part of their body but not all as it only reflects and references Cassy and Riva but not their other DJs. 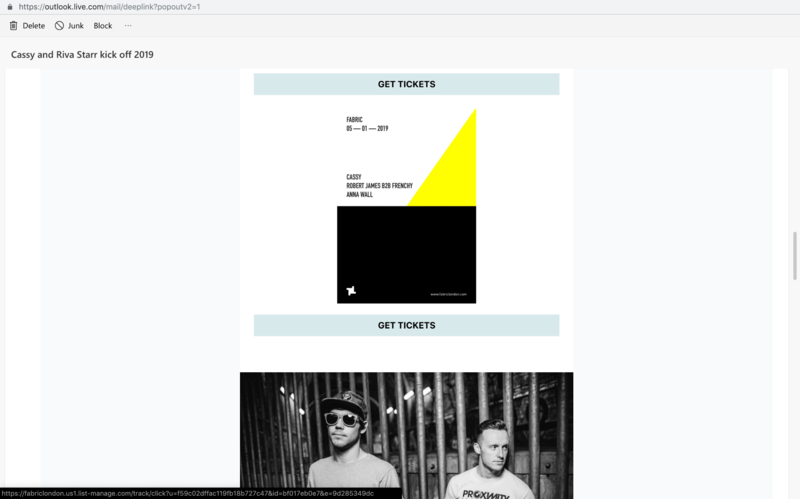 Consequently, there is a presence of multiple hyperlinks for more information about tickets, the story of the DJs, listing events and more. 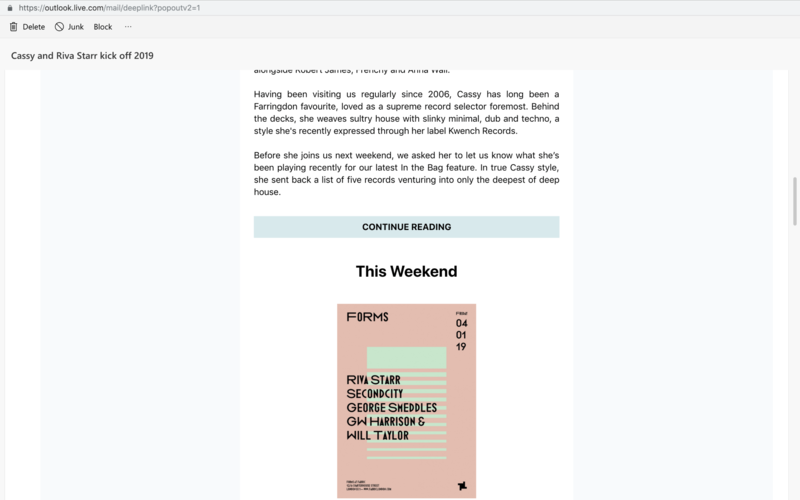 But there are only a few interactive features at the bottom encouraging the reader to connect on different social media. At the very end, we can find the opt/out privacy which reflects why do I get those emails and it is because I previously signed up to their newsletter. The opt/out option is a unsubscribe link that will automatically remove the customer from their list. To conclude this email, meet their purpose and is to inform and attract visitors for their events, thus they should implement more interactive features or animation since it is a club and people might be more attracted to gifs or animations relating to the party as well as implementing personalized emails. Ellis-Chadwick, F., & Doherty, N. F. (2012). Web advertising: The role of e-mail marketing. Journal of Business Research, 65(6), 843-848. Sahni, N., Wheeler, S. and Chintagunta, P. (2018). 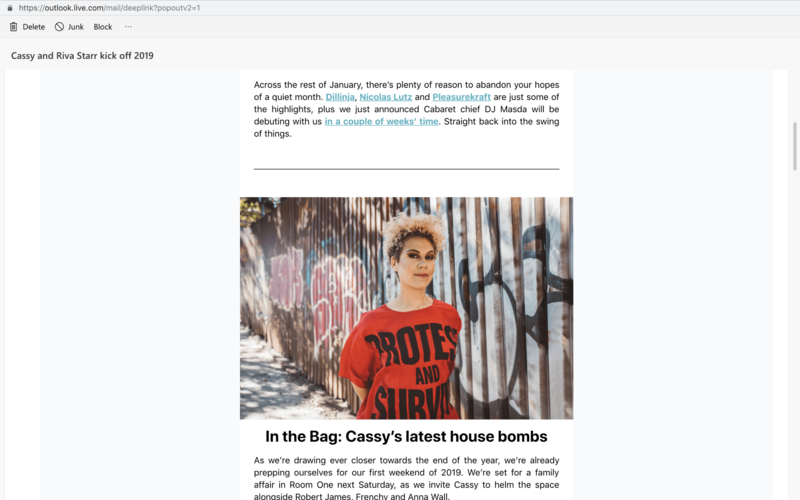 Personalization in Email Marketing: The Role of Noninformative Advertising Content. Marketing Science, 37(2), pp.236-258.